If you have recently welcomed your first little bundle of joy into the world, congratulations! This momentous time in your life should be filled with joy, awe, and wonder. Every day you will find yourself staring at this tiny human being that you have made, wondering how this miracle even came to be lying contently in your arms. However, the sheer joy and unconditional love that you feel for your child can be intermingled with feelings of nervousness, hopelessness, and fear. These baby blues are natural, and you should never feel wrong or bad if you experience them. No matter how much you prepare for the arrival of a baby, your world radically changes in an instant never to be the same again, and this is a terrifying prospect. The baby blues are largely hormonal, as your body gets used to not being pregnant again. If you feel like your baby blues are descending into something more serious, such as depression, head to your doctor for a chat and treatment. However, if you feel a blue baby cloud overhead, try some of these techniques to help you experience the joy of having your little one once again. If you have a strong support network around you, ask them for help as and when you need it. While you will want to be the carer of your child, try not to worry about the mammoth supermarket shop that needs doing or the fact that you need to take your car into the garage for a service. 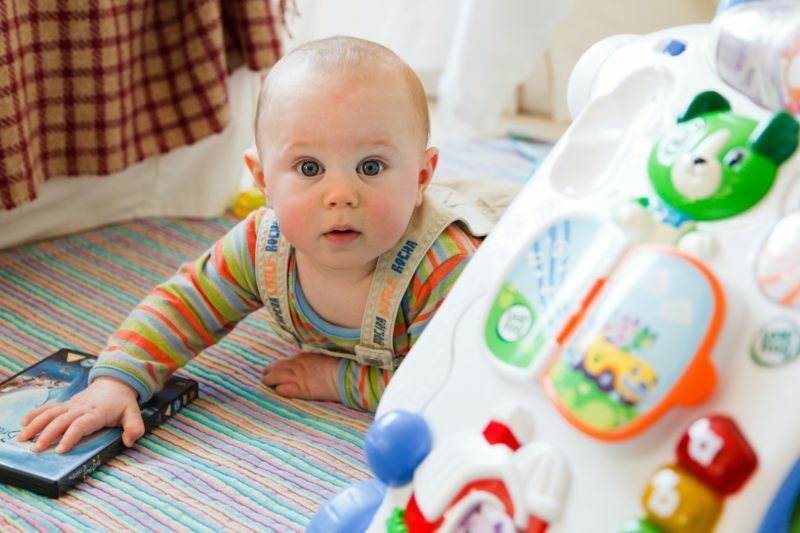 These tasks and the worry they cause can get in the way of you enjoying time with your baby. Ask your mom to pop to the supermarket to pick up some bits or ask her to arrange a supermarket delivery for you. See if your friend can whip your car into the garage and ask them to inform you of any payment you need to make. Pick up the phone and make the calls that you need. Trying to take everything on yourself will result in you becoming overwhelmed. These moments will overtake your joyful experiences leading to extreme baby blues. You might feel like society will be judging you if you take a break from your baby within the first month. However, having short moments away from your little one is healthy for both you and your child. We are not talking about taking a weekend break overseas or a spa day. Taking a break from your child should be shorter and more regular. Ask your partner to take sole responsibility for half an hour while you take a long hot bubble soak in the tub. If you’ve felt cooped up indoors for the past fortnight see if your sister can pop over while you take a quick walk down to your local park. This thirty minute break can help you refocus, get out of the house, change your scenery and feel more alert and reinvigorated when you return to your little cherub. Being with your little one twenty four hours a day can be isolating and emotionally draining, even though it is also wonderful and you wouldn’t change it for the world. Be kind to yourself and allow yourself to take some breaks. A coffee with pals once a work for an hour at the weekend while your partner looks after your little darling is no hardship for anyone. Sleep is the holy grail for all new parents. While you were aware that you wouldn’t be lucky enough to enjoy eight hours of unbroken sleep every night, the reality of having an hour or so of shut eye before having to get up to tend to a little human being throughout the night can be difficult to come to terms with. If you need a gentler nursing bra, check out The Baby Website reviews to make you more comfortable for night time feeds. There are plenty of products out there to help you when you are a first time parent. It’s time to draw up a rota with your partner and succumb to the fact that you will have some horrendous nights. However, on the flip side, you will have some more manageable nights as your partner will shoulder the burden too. If you are irritable, you will become more emotional. The baby blues can begin to feel more intense, your immune system will suffer, and you could become ill. Sleep can enhance your mood, leave you feeling in a more positive frame of mind and can help you face the challenges of being a new parent. If you are suffering from the baby blues, follow this guide and banish them in three simple steps.